Offering luxury and refinement within the environment of a compact city car is what the Toyota iQ is all about. Essentially this is an incredibly compact city car designed for drivers who don't want to know they're driving an incredibly compact city car. 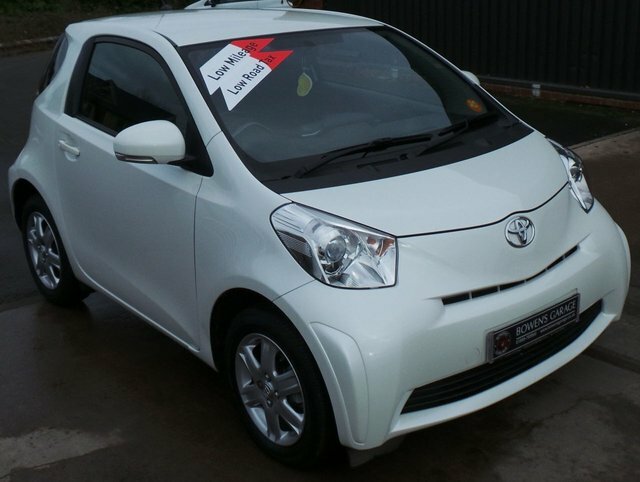 The best way to decide whether one of the used Toyota iQ models for sale in Ross-on-Wye is the right match for your urban lifestyle is to take one for a spin. Arranging a test drive is simple ? juts speak to a member of the team at Cook and Sons Motor Company Limited and we'll handle everything. All of our used cars come fully inspected for complete peace of mind, and you're guaranteed a warm welcome when you pay a visit to our showroom.